Canadian-Bulgarian soprano Adanya Dunn, is “superb at scaling the full range of human emotion through voice and gesture” (St. Albert Gazette). An alumna of the University of Toronto (UofT), Adanya studied with Professor Lorna MacDonald for both her Master of Music in Opera Performance (2014) and Bachelor of Music in Voice Performance (2012) degrees. Within her studies, she had the opportunity to work with artists such as Sandra Horst, Nathalie Paulin, Russell Braun, Steven Philcox, Monica Whicher, and Che Anne Loewen. Adanya is currently in her final year of Bard College Conservatory’s Graduate Vocal Arts Program, led by Artistic Directors Dawn Upshaw and Kayo Iwama, and privately studies with Patricia Misslin and Edith Bers. For this project, she is supported by The Canada Council for the Arts. Through Bard, she has performed at the Morgan Library in NYC, the Longy School of Music in Boston, the Fisher Center for the Performing Arts, Sosnoff Theater in the Hudson Valley, and a debut with the Albany Symphony Orchestra conducted by David Allen Miller. Upcoming performances with Bard in 2016 include the soprano solo in Handel’s Messiah under the baton of Leon Botstein with The Orchestra Now; and an operatic double bill as Papagena in Mozart’s Die Zauberflöte and the New York Premiere of Oliver Knussen’s Higglety Pigglety Pop! in the soprano lead, Rhoda. Ms. Dunn had her Carnegie Hall debut as part of The Song Continues: Marilyn Horne Master Class in Jan. 2015. She received the Encouragement Award from the Metropolitan Opera National Council Auditions, for the Buffalo/Toronto District in Jan. 2014. For the summers of 2015 and 2014, Adanya was a voice fellow at the Music Academy of the West (MAW) helmed by iconic mezzo-soprano Marilyn Horne. In 2015, she Adanya performed the role of Clorinda in Rossini’s La Cenerentola directed by David Paul and conducted by Jayce Ogren. There, she also performed in opera scenes directed by Bruce Donnell: Frantik (The Cunning Little Vixen) and Valencienne (Die lustige Witwe). The previous summer at MAW, she covered the role of Frasquita in Bizet’s Carmen and performed in opera scene excerpts directed by Gregory Fortner, as Marzelline (Fidelio by Beethoven) and Elvira (L’italiana in Algeri by Rossini) conducted by John Fisher and Warren Jones, respectively. Through MAW, she premiered the chamber song cycle we do it to one another by cellist-composer Joshua Roman, and had the opportunity to work with Marilyn Horne, Fred Carama, Martin Katz, John Churchwell, Anthony Dean Griffey, Nino Sanikidze, and Denise Massé. canadian sopranoWith support of the Canadian Aldeburgh Foundation, she attended the Britten-Pears Young Artist Programme, Aldeburgh Music Festival in June 2012, studying with soprano Dawn Upshaw and pianist Kayo Iwama in England. Continuing her musical summer, Ms. Dunn participated in the Toronto Summer Music Festival where she was able to work with Steven Philcox, Gerald Finley, and Craig Rutenberg. Past development programs include Opera NUOVA, Tapestry Opera 101, Vancouver International Song Institute, Orford Arts Centre and Academy, and Opera Atelier Professional Training Program. 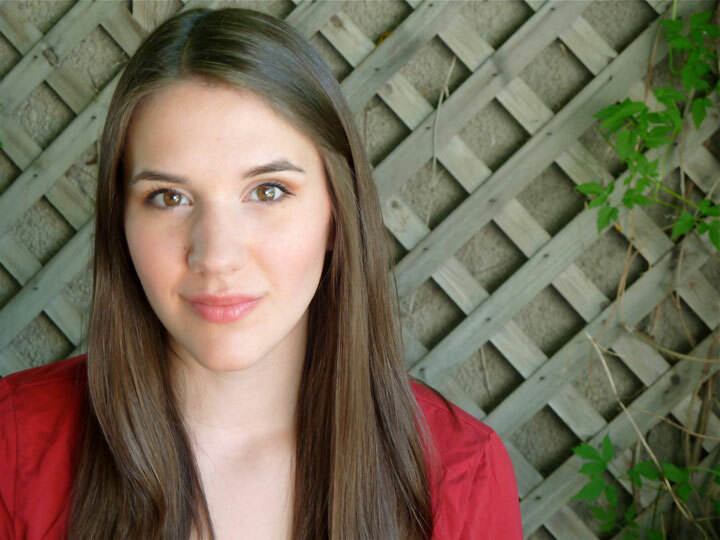 Adanya previously studied with Cindy Townsend for ten years, and is a graduate the Etobicoke School of the Arts (Musical Theatre Major), as well as a proud alumna of the Canadian Children’s Opera Company. Select opera and theatre roles and excerpts include: The Governess in Turn of the Screw (Britten), Miss Wordsworth in Albert Herring (Britten), Zerlina in Don Giovanni (Mozart), First Lady in The Magic Flute (Mozart), Margaret Johnson in The Light in the Piazza (Guettle), and Maria in West Side Story (Sondheim). Appearing with innovative organizations such as Against the Grain Theatre, Aradia En semble, SummerWorks Festival, NEXUS Percussion, Canadian Children’s Opera Company, and the Bulgarian Arts Festival of Canada, Adanya is pleased to have had the opportunity to perform contemporary pieces, world and national premieres, as well as traditional works. Adanya is a resident performer with Toronto’s interdisciplinary arts collective FAWN Chamber Creative.